Private Marketplace Provides Stations, Agencies and Brands with a Simplified Way to Sell and Buy Local Television Station Inventory at Scale. Videa, a Cox Media Group-owned company, debuted its supply-side programmatic platform at today’s TVB Forward Conference in New York. Videa automates the buying and selling of full schedule, forward reserve, local broadcast television inventory and infuses the process with data and analytics to optimize results. 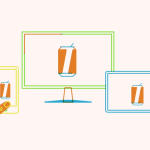 Click here to see how it changes TV advertising. Videa is integrating with TV stations and groups, demand-side platforms and data partners to bring more advertising dollars to local TV and further the industry’s move toward programmatic buying and selling. Currently, Videa has more than 200 signed stations and will begin market cluster launches during the fourth quarter of this year. The company boasts relationships with leading broadcast station groups including Cox Media Group, Graham Media Group, Gray, Hearst Television, Raycom, E.W. Scripps Company, TEGNA, Media General, and more. Videa is also working with major buying agencies, including Carat and its business unit, Amplifi, Starcom, Empower MediaMarketing and U.S. International Media. As part of the launch, Videa’s broadcast inventory will also be available through Mediaocean’s Spectra and STRATA’s media buying platforms.